In the world of motorsport, Xtrac transmission technology specialists are up on the podium as worldwide leader in the design and manufacture of transmission systems. And so they needed a website that reflected a world class act that also produces transmission systems for marine, automotive aviation and defence sectors. 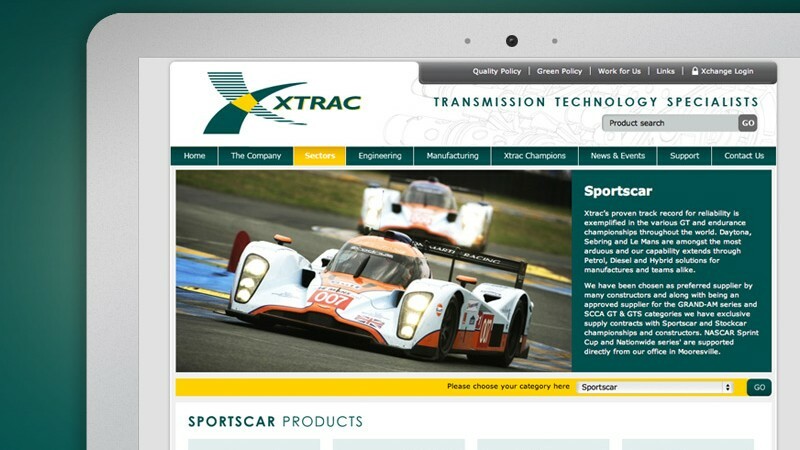 Createanet’s development team rose to the challenge with a website that matches Xtrac’s world credentials. `By Providing a simple to navigate website that provides easy access to all of the key sectors of the business and most importantly good keyword content for the major search engines which has greatly improved their search engine optimisation.